We are honored to have been voted Best of the Best in the private elementary/middle school categories for several years now. 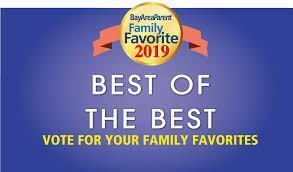 Bay Area Parent is currently holding their annual "Best of the Best" ballot and are now accepting votes. You may vote once per week until midnight on April 30th. Please take a moment to vote for St. Finn Barr Catholic School! You can find us in the San Francisco/Marin section under "Private Elementary School" and "Private Middle School" or at the following link.